There is a time and place for a little rest and relaxation. Summer in Oregon isn't one of them. There are so many adventures to be had across the state that you have to just get up and go. Oregon's mild temperatures make for lush summers that are the best around. The diversity of explorations in Oregon is astounding. One weekend you may find yourself on a sky-high hike overlooking the Columbia River Gorge, and the next you may find yourself playing in the waves at Canon Beach. The opportunities are endless. Ready for an adventure, a few friends and I took off after work on a Friday evening for Maupin, Oregon. A small, high desert town of around 425 locals, Maupin is known for its outdoors activities, specifically its excellent white water rafting on the Deschutes. We set up camp for the night at a spot just off the river appropriately named "The Oasis." Oregon's high desert is one of my favorite areas of the state. The air is fresh, the weather is almost always perfect (albeit very hot or frigid cold at times), and the setting is unbelievably gorgeous. The next morning I reached for my Berry Almond Nutmilk in the cooler. The deliciously smooth blend of fruits, nuts and (11g) of plant protein. As it turns out, Berry Almond Nutmilk is not only a good source of vitamin E and magnesium but also gluten-free, vegan, dairy-free and contains no added sugar. Perfect for an early, active morning and the rafting on the river to come. Later that afternoon on the Deschutes, we strapped on our lifejackets and set out paddling. It ended up being 102 degrees in Maupin that day. Needless to say, we spent about an equal amount of time in the raft and splashing around in the river. We had a blast with High Desert River Outfitters. 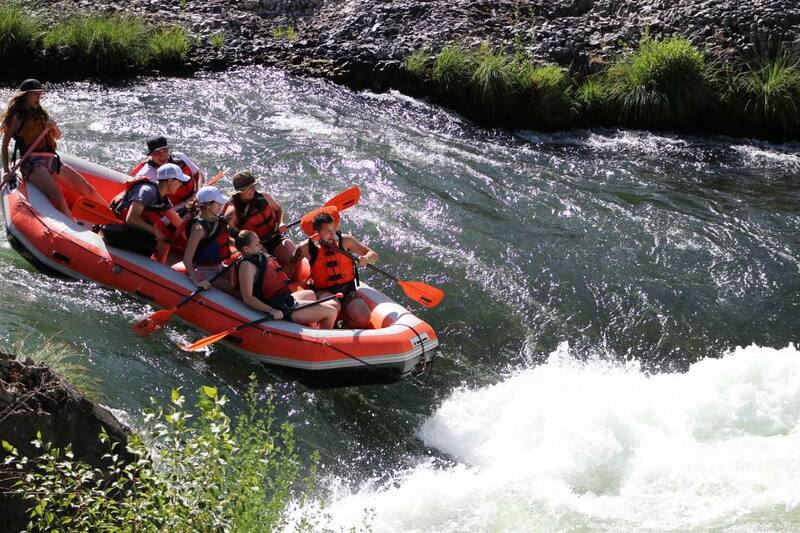 If you haven't been white water rafting on the Deschutes yet, put it on this summer's bucket list. Disclaimer: Naked Juice graciously provided The Paper Airplane with samples to review and a sponsorship to share a few amazing adventures with you, dear readers. As always, all opinions are my own. The goal of The Paper Airplane is to share the best of the best in travel experiences, products, food and entertainment. If it’s reviewed, it’s because the given entity is genuinely awesome. Naked Juice Berry Almond Nutmilk hits the shelves this July.